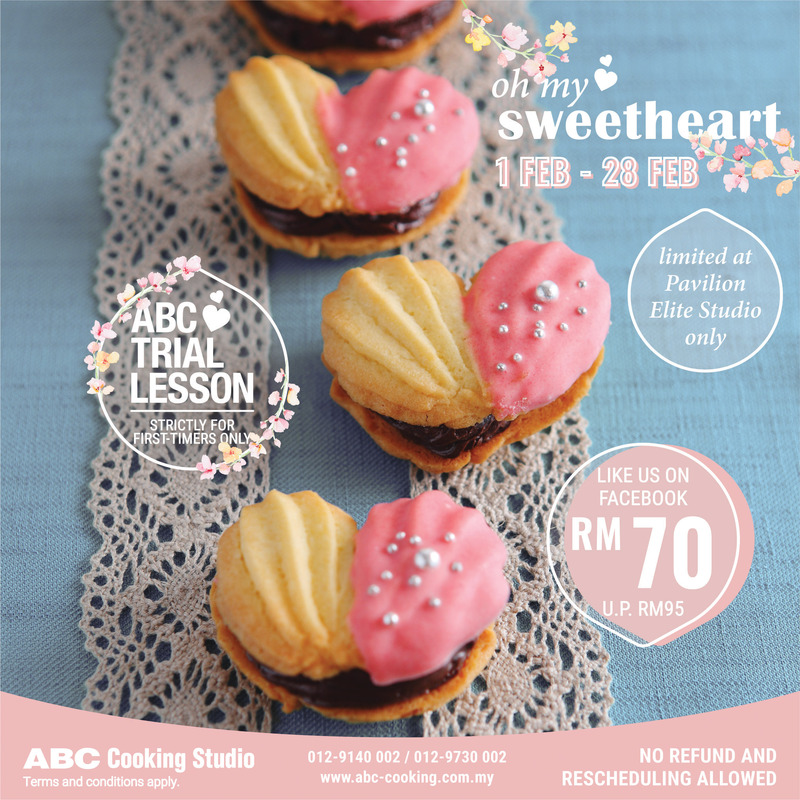 February Seasonal Cake Trial – Oh My Sweetheart! Chocolate infused butter heart cookies – a gourmet twist on sugar cookies! They have a deep, rich, chocolatey taste, and are decorated with beautifully carved shell designs and silver pearls on top. These one-of-a-kind sandwich butter cookies are decorated with coating chocolate in a beautiful Valentine’s Day designs. This menu is available at Pavilion Elite Studio only.